Business applications integrated with your accounting software. Keep the operations people and the accounting department happy. Sales Invoicing for Retail Wholesale and Service environments. Purchasing with Budget management. Workorder processing with Machine management and Recurring Jobs. Lot control. Serial number tracking. Ad Hoc Reporting for Adagio and IMS data files. Scheduling with Dynamic Time Capture. Item labeling from file or receipt. Track parts and labour required to complete a task. Assign the work order to client, and invoice the client when the project is complete. Add Recurring Jobs and Project control for comprehensive Jobber solutions. Retail, Wholesale and Service Invoicing directly linked to your accounting system. Sell by scanned bar code or serial number. Apply payments to Receivables invoices and print receipts for client Account Payments. 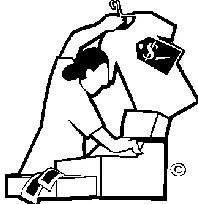 Purchase inventory, products or services for stock, jobs or a Budget. Approve purchase orders. Limit purchase amount and Ledger department by purchaser. Include outstanding purchase orders in remaining budget.